Be Different...Act Normal: Funny Tweets from Sochi! Have you seen the news reports about the hotels in Sochi not quite being ready for the 2014 Winter Olympics? There are some pretty funny tweets from reporters about what they found when they tried to check into their hotels. These tweets from Stacy St. Clair are some of my favorite. 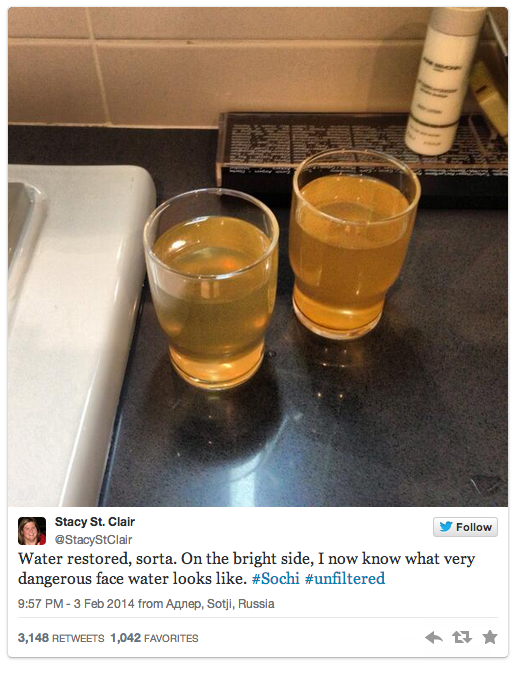 You can see more of the 'coverage' from inside Sochi hotels over at the Washington Post.